Mr B's acting credits are remarkable, appearing as he has in everything from The Avengers to Z-Cars, including such favourites as Blackadder, I Claudius and Dr Who, and myriad Shakespearean productions on stage and on screen. We saw him on stage with Roy Hudd in the ill-fated musical Hard Times back in 2000, and true to form he certainly didn't need a microphone. - He is an avid mountain climber, and attempted to climb Mount Everest on three separate occasions, but never reached the summit. During his attempt in 1991, the then 55-year-old climbed higher than any other man of his age before having to turn back to save another climber's life at 29,000 ft.
- During his National Service, remarkably, he was a parachutist in the Royal Air Force. 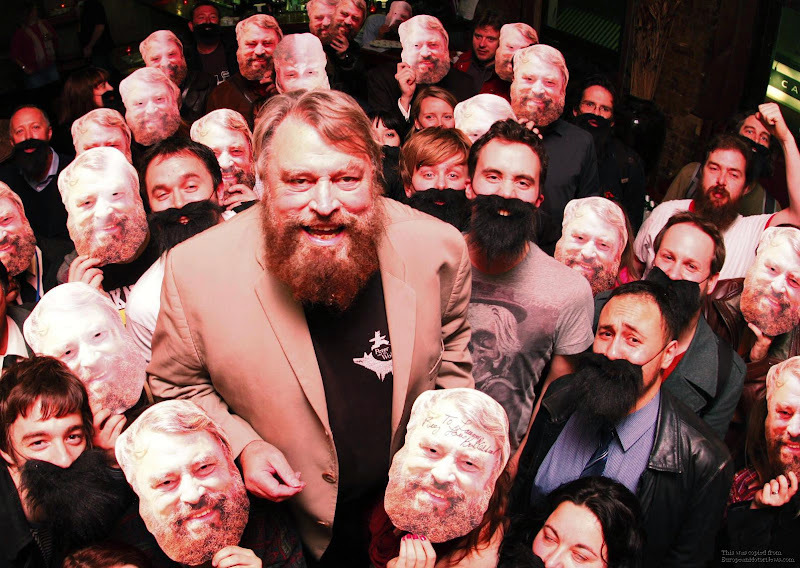 - He has an honorary position as official Shoutsperson of the University of York's Douglas Adams Society, and in 2011 the University's student body voted to name a new study space as the 'Brian Blessed Centre for Quiet Study'.